The original lice experts can help. Access to accurate lice information & pesticide free products. Learn more at LiceServicesCanada.com. It is now necessary to add your child to a city-wide centralized waiting list for admittance to daycare centres (Child Care Registry and Waitlist). Please go to www.onehsn.com/Ottawa.ca to register online. 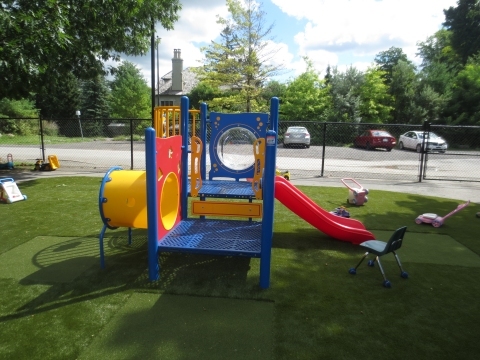 Rockcliffe Child Care Centre is a non-profit child care centre that offers children a unique experience in a well supervised, stimulating and secure environment. Our mission is to provide professional child care programs in a safe, nurturing environment. We work with families to encourage each child to achieve his or her full potential in social, emotional, cognitive and physical development. Toddler, Preschool/Kindergarten and School-age programs. Full-day programs with family-style lunches and competitive fees for toddler and preschool children. Kindergarten and School-age children receive care before- and after-school, on professional development days, and during school breaks. We offer an extensive summer program. Please contact us for information about summer replacements. Each of our programs ensure positive childhood development. The toddler program is designed for children 18- to 36-months. Our preschool/kindergarten program is designed for children aged three to five years. The school-age program is designed for school-aged children between the ages of six and ten. We encourage positive learning that allows for personal growth and provides an opportunity for peer interaction. The Centre provides the basic needs of home - good nutrition, creative play, rest, and individual attention. Rockcliffe Child Care Centre is licensed by the Ministry of Education under the Child Care and Early Years Act, 2014. All Rockcliffe Child Care Centre teachers are trained to teach through play, to allow the children to be exposed to situations that will stimulate curiosity, initiative and independence, self-esteem and decision-making capabilities, respectful peer interaction, gross and fine motor skills, and communication. We meet or exceed licensing requirements for the number of Registered Early Childhood Educators in each of our programs. Communication is the key to a successful parent-teacher relationship. As well as encouraging parents and staff to express any concerns that may arise, all programs complete annual progress reports. A nutritious lunch is served to the toddler and preschool programs. The kindergarten and school-age programs are served lunch on full days. Menus are prepared in accordance with MEdu quidelines and Canada�s Food Guide. The summer programs include weekly water play, sports, art projects and outdoor play, as well as a variety of educational and entertaining enrichment activities provided by professional guests. These programs are available to children who are already enrolled, or have been previously enrolled, at our Centre.